You or your family member has been arrested, violated probation or parole and is facing revocation, needs expungement or is facing forfeiture in New Orleans. For a misdemeanor, your case will be heard in Municipal Court by one of four judges, two of whom sit in the morning, and two of whom sit in the afternoon. For a felony, your bond will be set by one of four Criminal Commissioners. You will then be arraigned by a Criminal Magistrate. Following your bond hearing and arraignment, your case will be assigned to one of twelve Criminal Court Judges. You want a divorce, custody, visitation, child or spousal support, to prove or disprove paternity, protection from abuse, your share of community property, a name change, to interdict an impaired relative, or have been served. Family law cases are assigned to one of three Domestic Relations Judges. Domestic abuse cases can result in suspension of your driver’s license, professional license, hunting or fishing license, or inability to possess a gun. Child Protective Services (CPS) has been called about your children, your niece or nephew, or grandchildren or you have been served with a state Non-Support case. For state Non-Support cases, you will go before one of the three Domestic Relations Judges. If a CPS report was made or you are seeking to adopt, the case will go to one of six Juvenile Court Judges. CPS cases may be child in need of care cases, family in need of services cases, or termination of parental rights cases. Missing a hidden deadline, may result in the termination of your parental rights. State Non-Support cases can result in garnishment of your wages, seizure of your or your spouse’s tax refund or jail. You or your loved one was injured or killed when rear-ended, “T-boned” or hit head on by a car or truck, treated by a negligent doctor, or bitten by a dog. Your case can be filed with one of three First City Court sections, if the action arose on the East Bank, or in Second City Court in Algiers, if the action arose on the West Bank, or if your damages are more than $25,000, your case can be filed in one of eleven Civil District Court sections. If your damages exceed $50,000 we can ask for a jury. New Orleans and St. Bernard cases are appealed to the Fourth Circuit Court of Appeal in New Orleans. 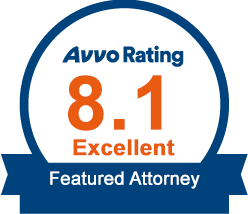 If you received an unfavorable judgment with another attorney, your case can be appealed. Whether you or your family member is facing a criminal charge, family law dispute, personal injury, wrongful death, medical malpractice or needs to appeal, you need tough, knowledgeable and experienced attorneys familiar with your legal problem, the law and the judges. You need the lawyers at Ellen Cronin Badeaux, LLC with 23 years of experience. Call 985-892-1955.